Hi-Point Saddle for Open and Non Pro Ranch classes at 2019 NSBA World Championship Show! The National Snaffle Bit Association will not require qualification for participation in the 2019 NSBA World Championship Show Ranch classes. NSBA will offer three sets of AQHA points in Youth, Amateur and Open Junior and Senior Ranch Riding & Ranch Trail. 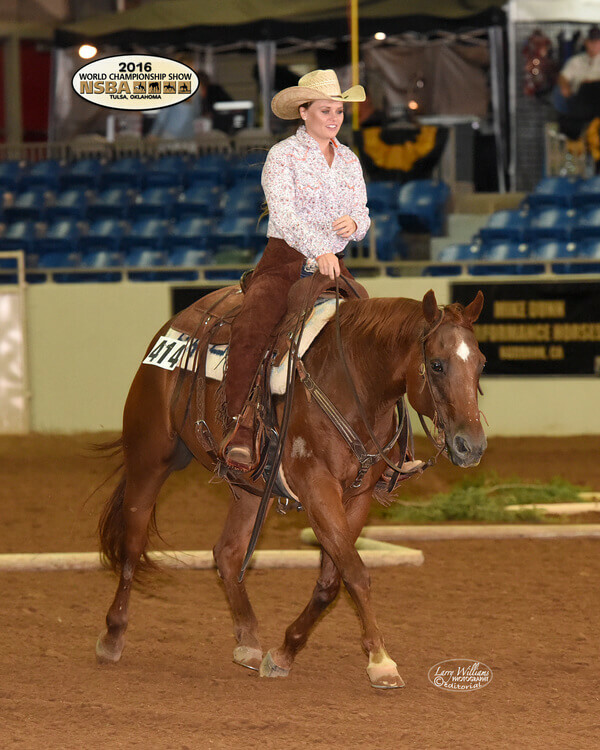 In addition to the added money and prices, the NSBA World Championship Show will offer a saddle to the Hi Point Ranch Horses in both the Non Pro and Open divisions. For the Hi Point Non Pro, AQHA Youth/Amateur & NSBA Non Pro Ranch Horse Trail, Ranch Horse Riding and Ranch Horse Rail classes will count. For the Hi Point Open Ranch Horse, all AQHA Open and NSBA Open Ranch Trail, Ranch Horse Riding and Ranch Horse Rail classes will count.